Police cleared away most of the tents but the protesters stayed Sunday at McPherson Square in Washington, D.C. About 100 gathered for the daily general assembly to discuss ongoing projects involving housing, worker rights and women's issues. A police raid Saturday ended a four-month encampment by Occupy DC. 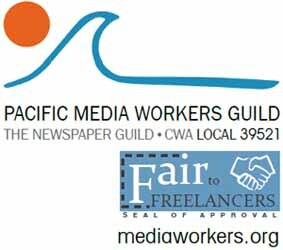 Photos by Carl T. Hall, Media Workers Guild. WASHINGTON — Protesters gave up some hallowed ground here but showed no sign of surrender Sunday — the day after a police raid ended one of the most important national symbols of the Occupy movement. Authorities cleared out what had been a sea of tents and blue tarps located just a few blocks from the White House. A muddy vacant lot was about all that remained in most sections of the square as protesters mingled on the sidewalks with gawkers and news reporters. Occupiers spent part of the day scouting for emergency shelter to accommodate those evicted from the public park. McPherson Square had served as a gathering spot for protesters from around the country, many of whom already had been chased away from protest camps in their hometowns. No police were evident Sunday afternoon. Nearby bars were filling up with football fans gathered to watch the Giants and Patriots in the Super Bowl. The statue in the center of the square honoring General James McPherson no longer had a symbolic blue tarp — dubbed the “Tent of Dreams” — covering its pedestal. Occupiers still had a makeshift library and a couple dozen small tents along one side of the park, but the tents weren’t supposed to hold sleeping bags. The Occupiers planned to maintain a 24-hour protest vigil and daily General Assembly meetings; authorities said gear for the vigil was permitted, but insisted that sleeping in the park was not protected by the First Amendment. About 100 people gathered for Sunday’s assembly. Some participants vowed to make a fresh start, and said the anti-camping crackdown was anything but a setback. “There are a lot of things going on here,” said Heather Kangas, 23, of Wheaton, Md., a suburb just north of Washington. She described a homeowner rights campaign involving outreach to people facing foreclosures, and a gender-equality committee trying to link women’s rights to the economic goals of the 99 percent. Saturday’s police raid was upsetting, she said, but it also may lead to more productive ways to protest than maintaining a marathon outdoor sleep-a-thon. Heather Kangas, 23, came to the Sunday general assembly at Occupy DC to talk about a housing campaign. About 100 people participated the day after police cracked down on camping in McPherson Square near the White House. Occupy protesters around the country have been saying much the same thing, noting that the initial emphasis on public encampments had to shift for the symbolism to produce meaningful change. Activists said they are pursuing any number of initiatives to advance the cause of the 99 percent. Ben Johnson, for instance, an 18-year-old journalism student at American University, shows support by highlighting labor issues in the food service industry. He showed up for Sunday’s General Assembly in McPherson Square to tell people how they could join “ROC DC,” the local chapter of Restaurant Opportunities Center United, a New York-based organization which is launching a “national campaign for dignity” focusing on Darden Restaurants, which owns and operates 1,900 eateries including Red Lobster and Olive Garden. ROC publishes a diner’s guide to restaurants that treat workers well. Ben Johnson, an 18-year-old student at American University, advocated for worker rights in the restaurant industry Sunday during the Occupy DC general assembly at McPherson Square. The day before, police ended the protesters' four-month encampment in the park, but activists said they would not be moved -- even if they can't sleep out in the park anymore. Not many TV crews have taken notice — yet. But if Occupy is to find a productive direction, advocacy for the rights of workers and practical tools for consumers may be a path worth trying as protesters, like it or not, leave their camps and hit the road. Return to McPherson Square are now closed. What a load of Bollicks, and a major waste of taxpayers money. Is this what our laws have come to, then what a sorry state of affairs we are in.